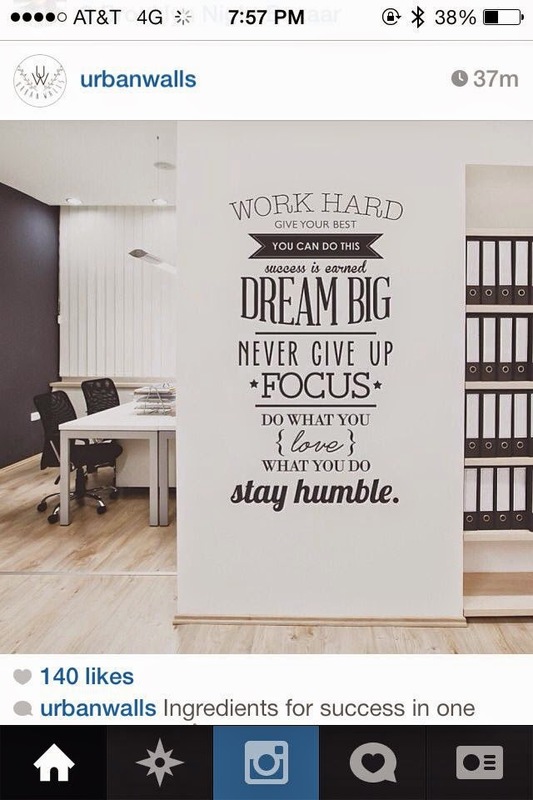 Love the positive message on the office wall! A really good idea to make one yourself in vinyl and put it on the wall for you and you and your co workers. I want a lot of Space. I want a big office and showroom, one that I can decorate to my taste. My current office is too tiny. Me and my workers are working too close to eachother, for the moment we are enjoying eachothers company, I am very blessed to have such great girls working for me. Two kids and a good going company is too much to handle some times. I admire all mums that are entrepeneurs as well, It's hard work! My greetings to to mum Camilla from Effortless Style. She has two adorable sons, spends lovely quality time with them and besides work she has time to make posts for her lovely blog.